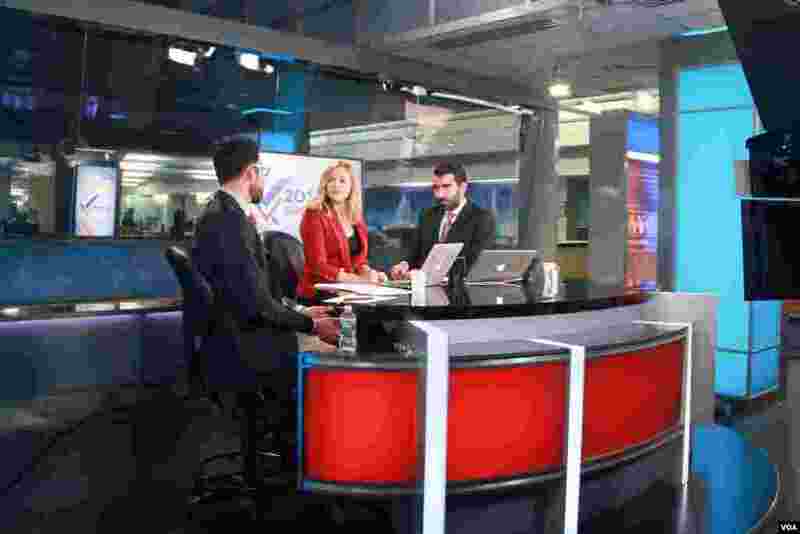 VOA's journalists worked late into the night covering the 2016 Elections on November 8, 2016 and well into the early morning on November 9, 2016. 5 VOA Russian service speak to guests on election night. 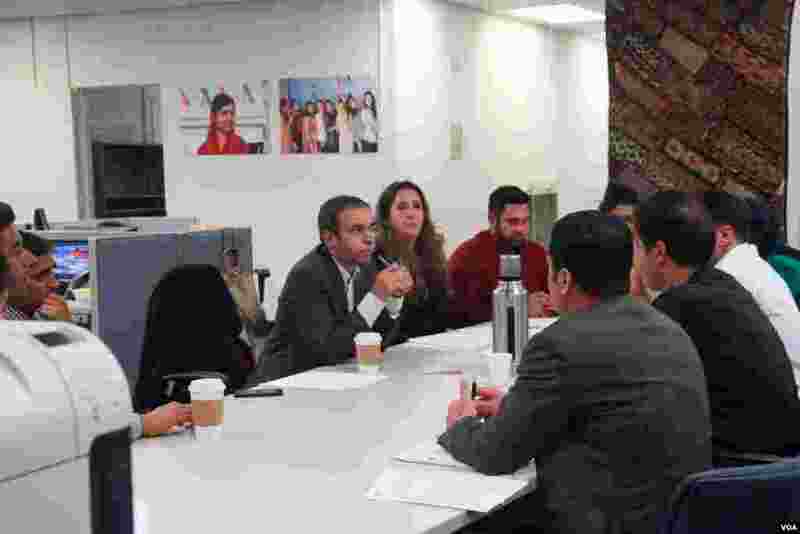 6 VOA Deewa staff meet to discuss coverage for election results. 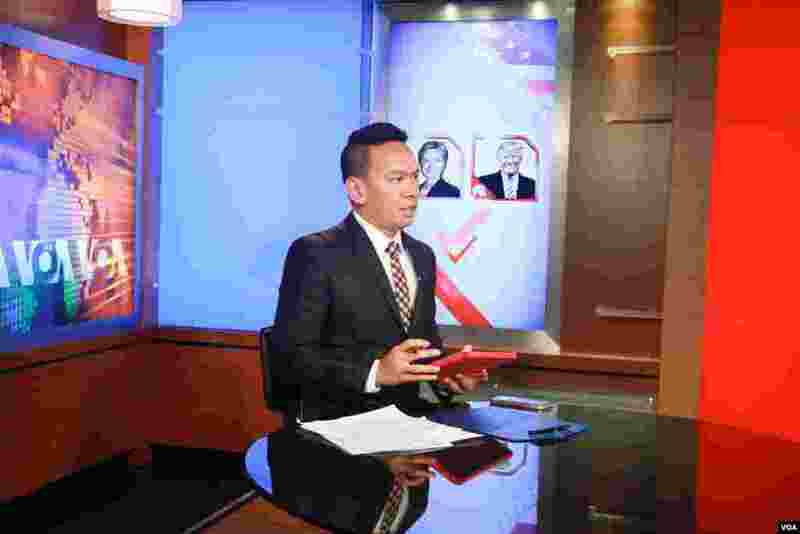 7 VOA Indonesian host in studio on election night. 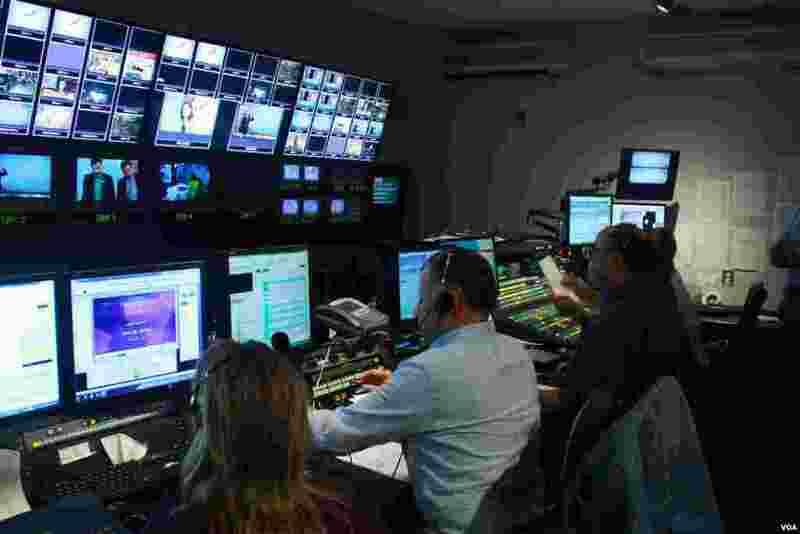 8 Control room staff worked hard to make sure programs ran smoothly on election night.